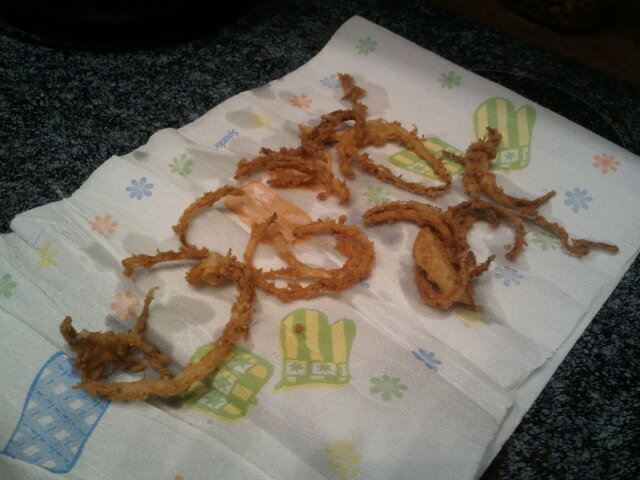 I think it was this last weekend my youngest & I were watching cooking channel and someone was making onion straws. 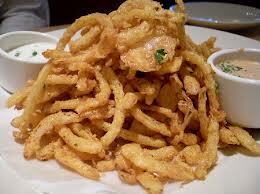 He had tried them once before when we had gone out to dinner and loved them. 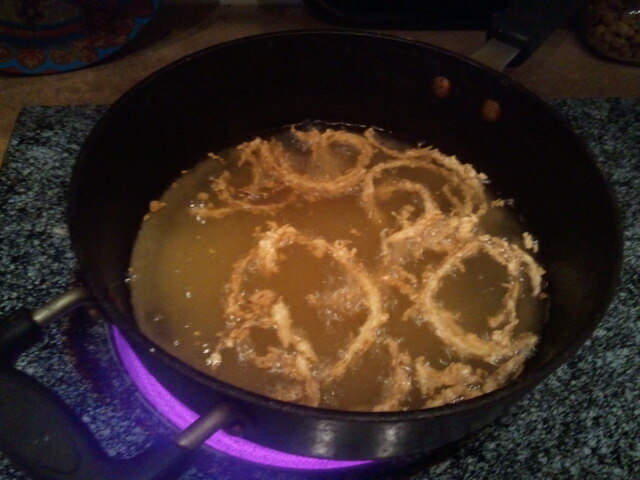 He pretty much begged me to figure out how to make them. So last night we gave it a whirl and they turned out perfectly! 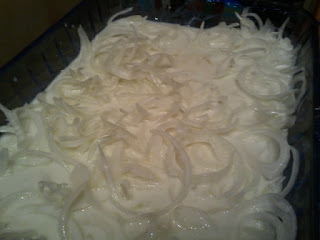 Take your onions out of the buttermilk, dredge through the flour mixture, then drop into the hot oil.